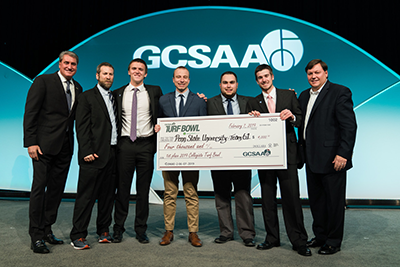 Penn State University is the winner of the 2019 GCSAA Collegiate Turf Bowl during the Closing Ceremony of the Golf Industry Show in San Diego, Calif.
As the winner, Penn State University received a traveling trophy, $4,000 first-place prize and opportunity to volunteer at the 2019 PLAYERS Championship at TPC Sawgrass in March. As a part of the 2019 GCSAA Collegiate Turf Bowl, the winning team from Penn State University competed against 63 student teams representing 30 colleges and universities from across North America. 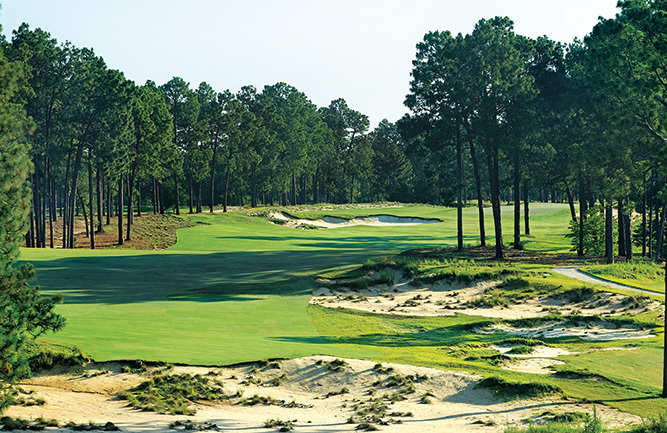 The competition graded teams on overall industry knowledge and problem-solving skills in high-pressure situations, mirroring what superintendents often face daily. This year a total of $10,000 in cash prizes was awarded to the top ten teams. Again for 2019, John Deere helped prepare students for the Turf Bowl through the Tweet Rally. For the 2019 Tweet Rally, students were asked questions via Twitter in the weeks leading up to Turf Bowl. The students then tweeted the correct responses using a special hashtag, with the school with the most correct responses receiving a cash prize. This year, the winner of the 2019 Tweet Rally is Iowa State University. Also announced at the Closing Celebration, the team received $1,000 for the school’s turf club.